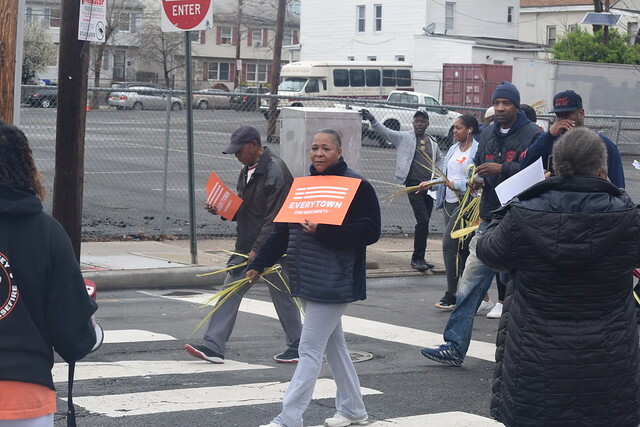 Dozens of people joined a mile-long march on Saturday morning as the city reels from a spate of shootings that left nine shot, one fatally, over a three-day span, calling for an end to gun violence. 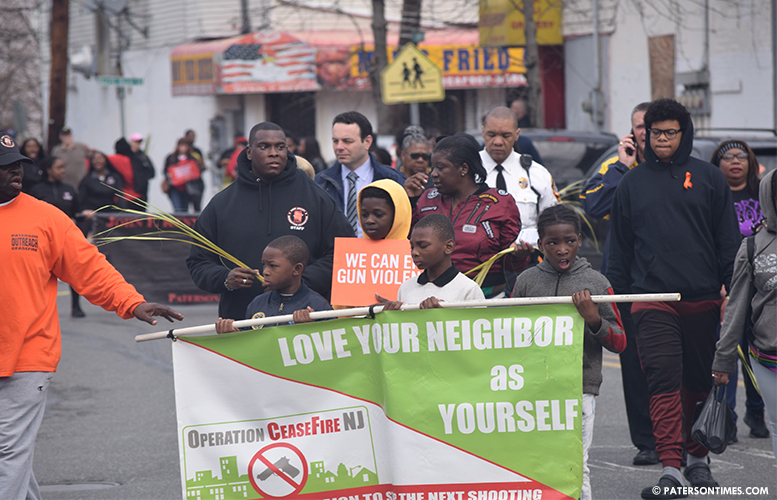 Cox joined the annual Ceasefire march, in its 13th year, to send a message to would be shooters. She urged them to put down the weapons. Police have had success in reducing killings, mostly from gun violence. For example, in 2018 there were 12 homicides, down from 24 the previous year. Police in Paterson have one of the highest solvability rates in New Jersey, making it difficult for suspects to escape prosecution. Violence in Paterson is fueled by loose gun regulations in nearby states. 80-percent of crime guns in New Jersey come from out of the state, according to a report issued by attorney general Gurbir Grewal. “It grieves my soul, all these shootings,” said pastor John Algera, a founding member of the Ceasefire community group, speaking of the recent burst of shootings. Algera expressed frustration at the lack of national action on gun control. “Did you see what New Zealand did after that mass shooting? Within one week, the government changed the whole gun law. Within one week!” said Algera speaking of the Christchurch mosque shootings that left 50 dead and 50 injured. “We’ve had enough,” said Kristina Hill, co-lead at the Moms Demand Action for Gun Sense in America of Passaic County. Her group advocates for an end to lax U.S. gun laws and loopholes that give people easy access to guns. Hill said some people live in fear of the next shooting. That has been particularly true in Paterson since Thursday afternoon. Nine people have been shot, one to death, over the past three days. Police charged one alleged shooter with attempted murder on Friday. He allegedly shot two people on Rosa Parks Boulevard and Governor Street on Thursday afternoon. Municipal officials have tapped county, state, and federal law enforcement agencies to provide resources to curb the sudden spike in shootings. Passaic County sheriff Richard Berdnik said his office has been providing manpower, both uniformed and plainclothes detectives, to Paterson over the past two days. “We’re providing adequate manpower and working with them on special details,” said Berdnik at the march. Marchers walked from the Cobb Municipal Park on North Main Street to the Danforth Memorial Library on Broadway, halting at shooting sites to pray for the fallen victims. At the corner of Presidential Boulevard and Clinton Street, Winnie Harrison of Ceasefire community group, called out the name of Nazerah Bugg, 14-year-old girl killed at the location in 2014, before a brief prayer. “The community is tired of this violence,” said pastor Allen Boyer of ‎Bethel AME Church. On Broadway, the marchers placed a casket to tell perpetrators of their ultimate demise, likely at the hand of fellow shooters. “It’s there as a symbol,” said Boyer.